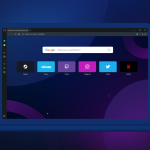 We updated Opera for computers today. This update includes chromium update to version 42.0.2311.152 and a couple of bug fixes for Mac platform. We fixed a small problem when selecting URL on Mac OS X 10.10.3. Also, we received a few complains from users with old version of Flash plugin installed about video problems in full screen mode. All users will be informed to update their Flash plugin to the latest version. This will soon come to Windows as well. Please feel free to let us know if you find any problems.